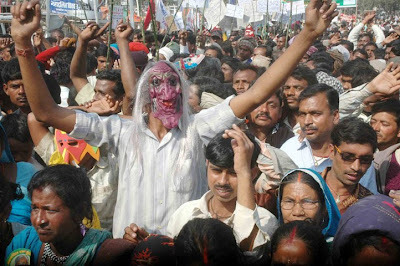 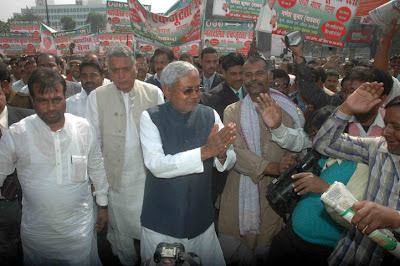 Thousands drawn from different districts of Bihar participated in the Mahadalit Ekjutata Rally, organised by ruling NDA at Gandhi Maidan in Patna on February 21, 2010. 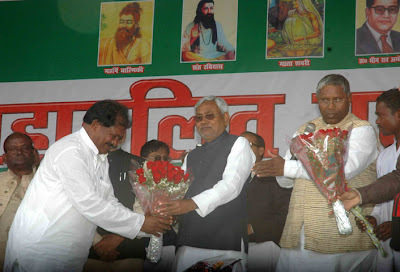 Bihar Chief Minister Nitish Kumar, Deputy Chief Minister Sushil K Modi, Bihar Vdihan Sabha Speaker Uday Narayan Choudhary were among others who addressed the meeting. 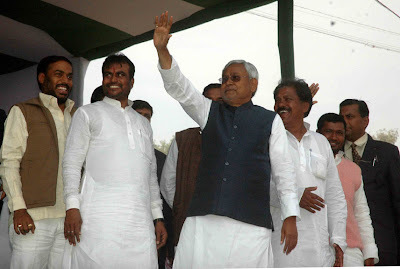 Addressing the meeting Bihar Chief Minister Nitish Kumar said that a survey would be conducted to know the exact number of nomad community people, residing in the state, with efforts to settle them permanently. 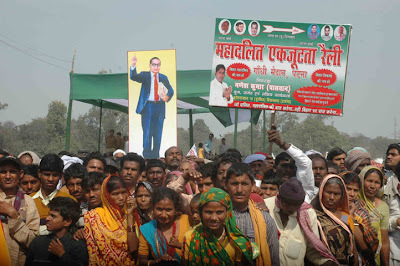 Kumar called upon the 'nomad' community members at a public meeting to take advantage of measures by the state to improve their lot and implored them to learn the 3 R's so that they could know about their rights provided under the constitution. 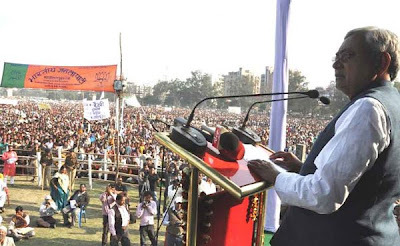 Bihar Chief Minister claimed that the large number of dalits, who gathered here, vindicated the success in the government's efforts to provide justice to the downtrodden. 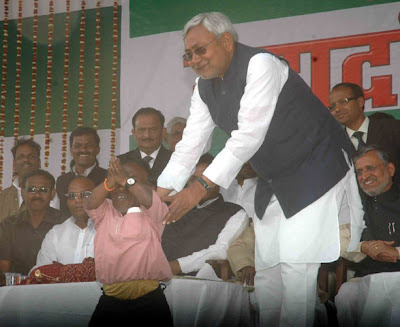 He asked them not to be "misled by the opposition propaganda that the government was out to break the dalits by creating a Mahadalit Commission".